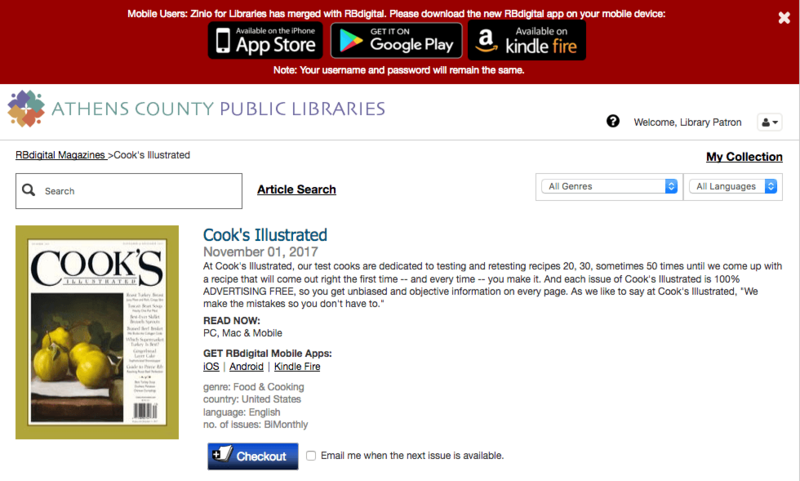 RBdigital is a service which allows cardholders at the Athens County Public Libraries to download digital versions of popular magazines. This service is free, sponsored by the Friends of the Athens Public Library. Are you a member? 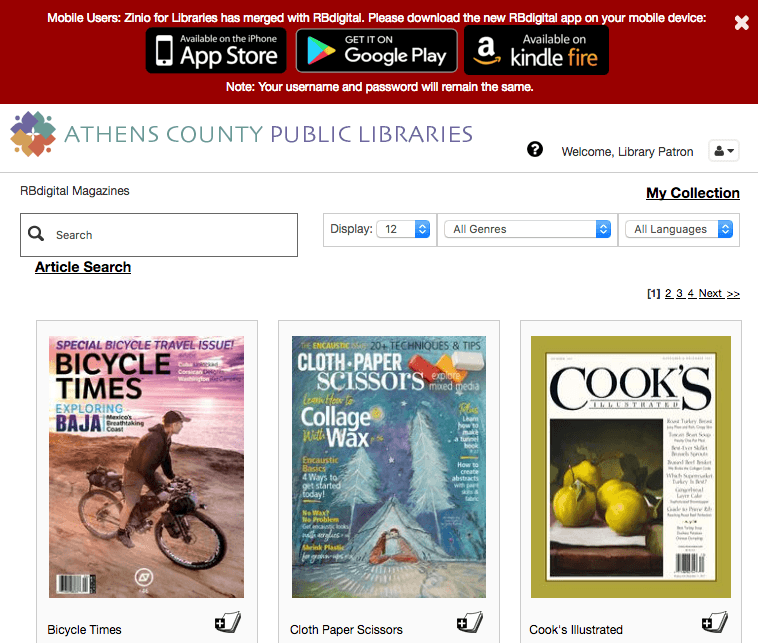 Visit RBdigital’s library gateway and click the “Create Account” link in the upper right corner of the screen. 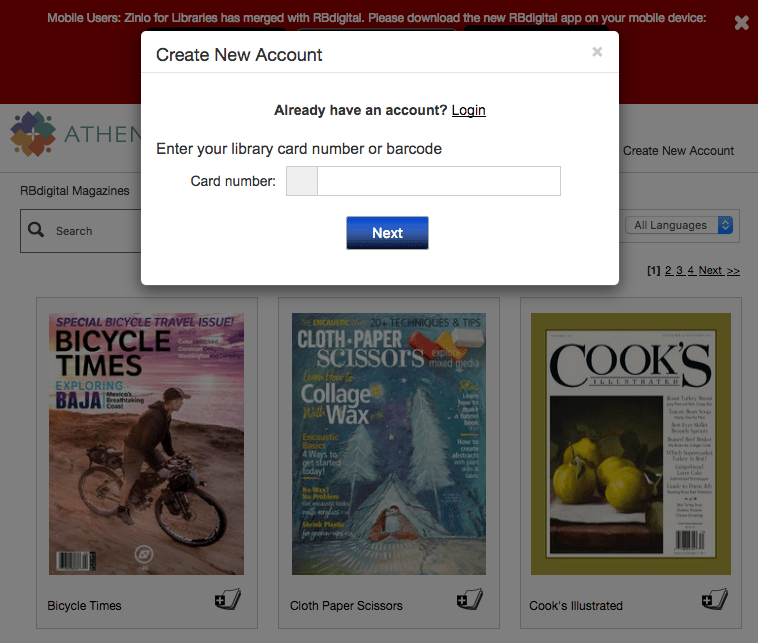 Enter your library card number exactly as it appears on your card. 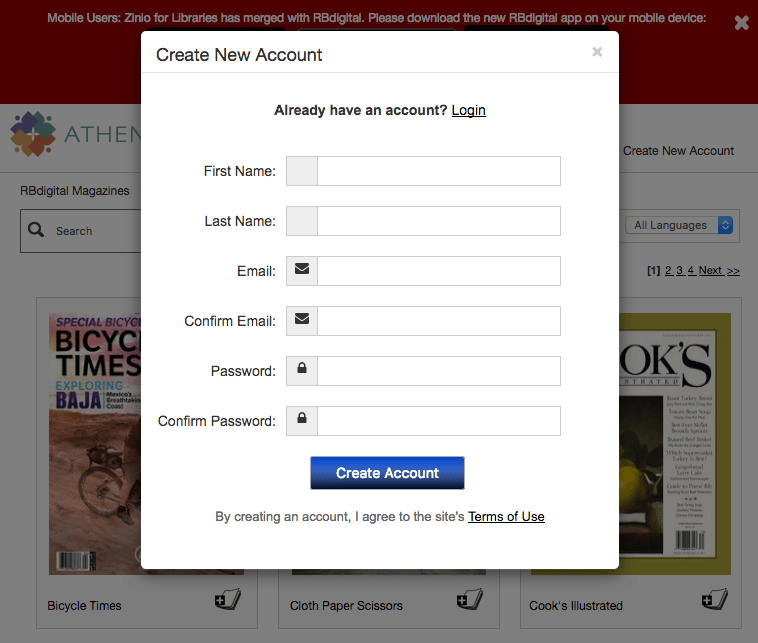 After RBdigital creates your account you will be automatically logged in. You will see the library’s magazine collection. From here you can select a magazine to download. 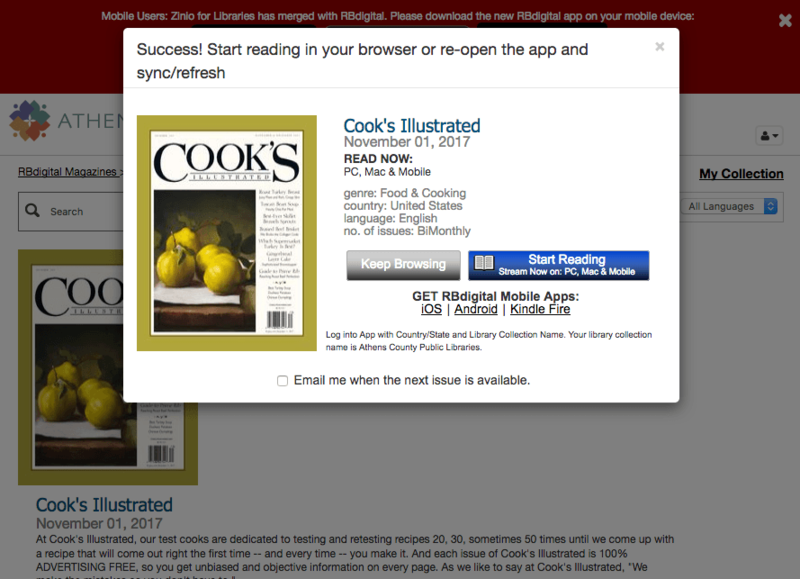 When you click on a magazine you will be asked to confirm your choice. 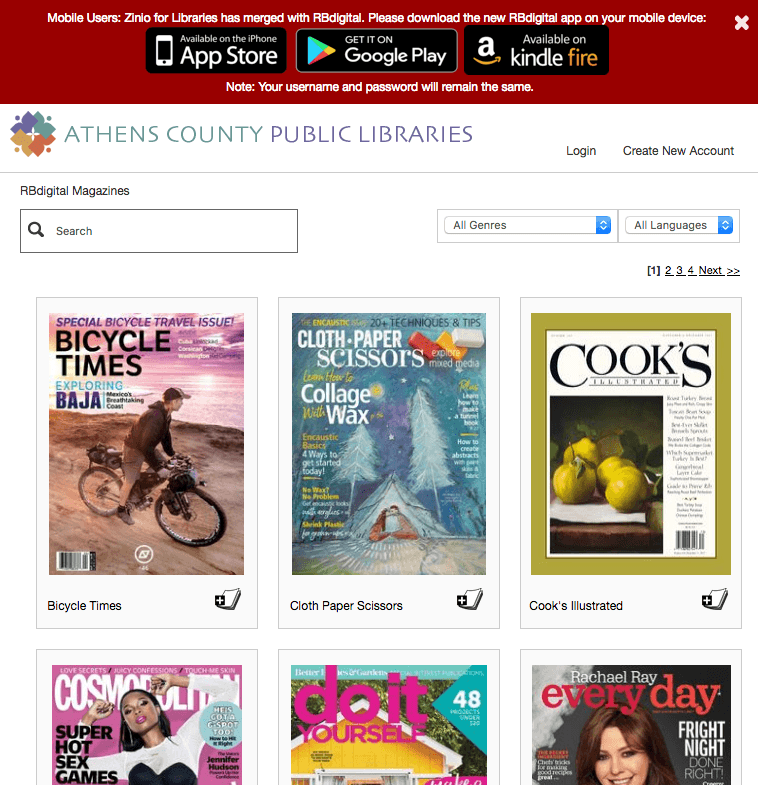 After you have checked out a magazine it will be available for viewing online or through any device on which you have the RBdigital for Libraries app installed. For more help you can consult RBdigital’s patron user guide (PDF).